Although Los Angles International is the fifth busiest in the world, it is in fact the busiest origin and destination airport, meaning that more travellers start or end their journey here in comparison to using it simply as a connection to travel elsewhere. A 6% year on year increase was recorded for 2013-14, meaning it has one of the strongest traffic growth rates in the world. 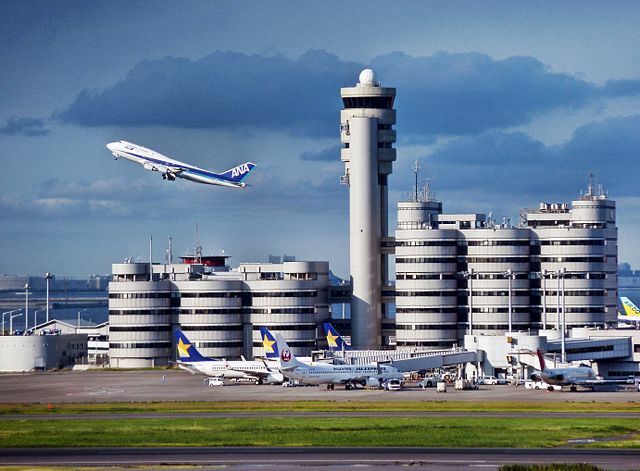 One of two airports serving the greater Tokyo area, Haneda is the second busiest airport in Asia. It has the capacity to handle up to 90 million passengers a year, which may well be achievable in the next few years, especially with Tokyo’s upcoming duties to host the 2020 Olympics. For several years, Heathrow was the world’s busiest airport in terms of international passenger traffic, and still attracts a high rate of foreign travellers. Work on the airport began in 1944, with the airport named Heathrow in 1966, after the hamlet which was once where the airport is now. Serving 185 destinations in 84 countries, the sheer amount of choice and the attraction of London has made it the UK’s definitive international airport. The busiest airport in Asia, Beijing Capital was able to welcome even more passengers following the 2008 Olympics the city hosted, when Terminal 3, the sixth-largest building in the world, was added to the airport. It serves as the main hub for Air China, which offers flights to over 120 destinations. Hartsfield-Jackson Atlanta International first opened in September 1980, and has remained the world’s busiest airport for passengers since 1998, showing no signs of taking second place any time soon. Its sheer popularity is most likely due to Atlanta’s convenient location – the city is within just a two-hour flight from 80% of the USA’s population, making it a popular connecting airport. According to the Airports Council International (ACI), results for 2015 are already showing this steady growth in passenger traffic continuing, with an increase of over 5% for the first half of the year. In order for the industry to sustain this increasing volume of traffic, global orders for aircraft are already starting to increase. With the additional traffic demand and the increasing size of the global fleet, it is estimated that there will be a requirement for 30,000 new maintenance and engineering personnel every year. Industry experts, regulators and leading organisations have recognised the challenges associated with this level of growth and are concerned about ensuring personnel are of a satisfactory level of competence. Managing these challenges and addressing this concern will be vital to ensuring that maintenance errors, which could be costly from a safety and financial perspective, are mitigated. A UK based organisation, ELMS Aviation, have responded to this particular area of concern by developing a revolutionary competence management system specifically for the aviation industry. The Electronic Logbook Management System, or ELMS, is a secure cloud-based application which provides Airlines, MROs and Recruitment Agencies with a tool to carry out risk-based oversight by evaluating and managing personnel competence, acting as an aviation compliance management tool. The application has been designed to meet the requirements of EASA Part ARO, Part M, Part 145 & Part 66 regulations.